Dedicated to bringing the healing energies of the universe to all those they come in contact with, be it through touch, earth sciences, or the esoteric arts. Through our efforts and of those around us, we can help ourselves, our families, our communities enjoy all the universe has to offer. We promote the abundance of all members and nonmembers alike and we promote honesty and integrity with a desire to give and receive from the community. We encourage ethical business practices and the support of each other's gifts and abilities. Go through our pages and find out how we can help you. And find out how you can benefit from joining BHA. Use our Directory to find qualified healing practitioners. 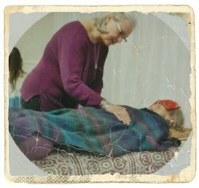 We have members around the country and many members also do remote healing all over the world. find out what's happening or check back frequently. Be sure to add boulderhealers @ earthlink.net to your contact list/address book in order to receive our mailings. ATT: AOL, HOTMAIL, AND MSN ARE BOUNCING OUR MESSAGES. If you have signed up for our newsletter and you do not receive our mailings, please check your spam folder or use a different email address.